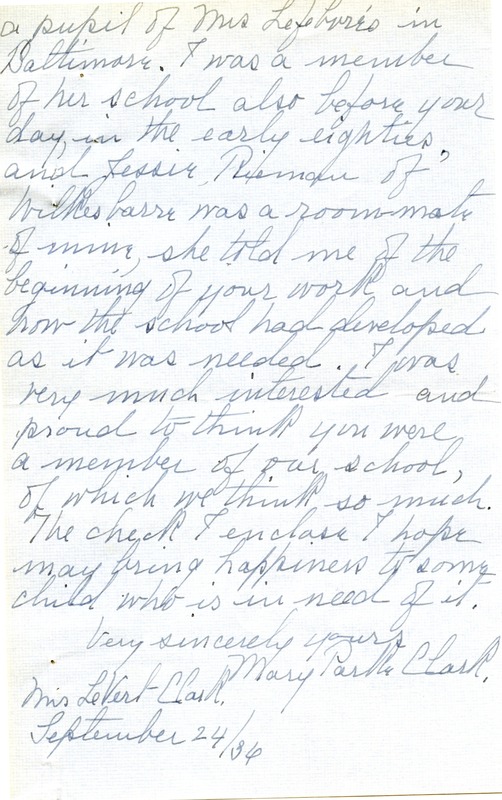 Mary Parker Clark writes to Martha Berry because she received a pamphlet about the schools on a recent trip. 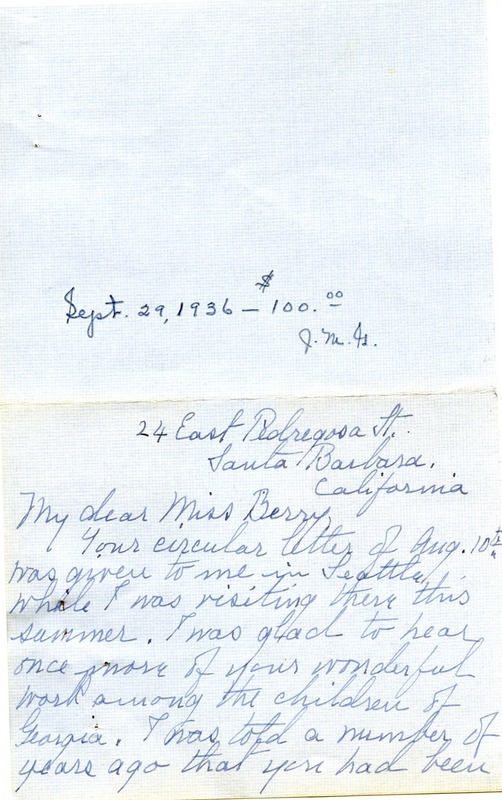 Clark and Berry attended the same school in Baltimore, although at different times, and Clark sends a check to further Berry's work. Mary Parker Clark, “Letter to Martha Berry from Mary Parker Clark.” Martha Berry Digital Archive. Eds. Schlitz, Stephanie A., Meg Ratliff, Rachel Renaud, et al. Mount Berry: Berry College, 2011. accessed April 24, 2019, https://mbda.berry.edu/items/show/465.